2. 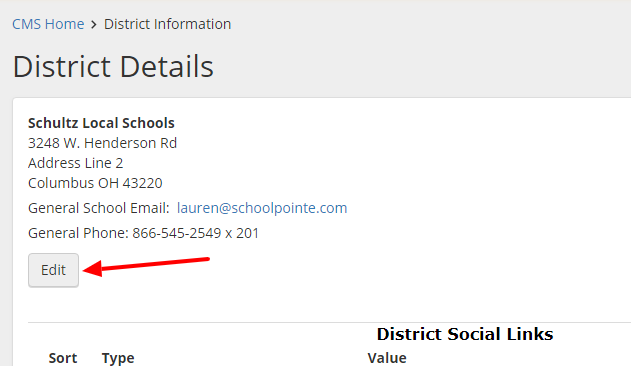 Edit the address under your district or building details page and scroll to the very bottom of your address edit page. 3. There you will see where you can log into your Facebook and Twitter accounts. You will need to be an admin on your Facebook page to be able to post. 4. Facebook- You will want to select the Page--(Facebook Page Name) in order to share to your district/schools pages. If you select the option of User--Wall that will go to your personal Facebook page. Twitter- You will need to be logged into your district/building account not your personal Twitter. 5. 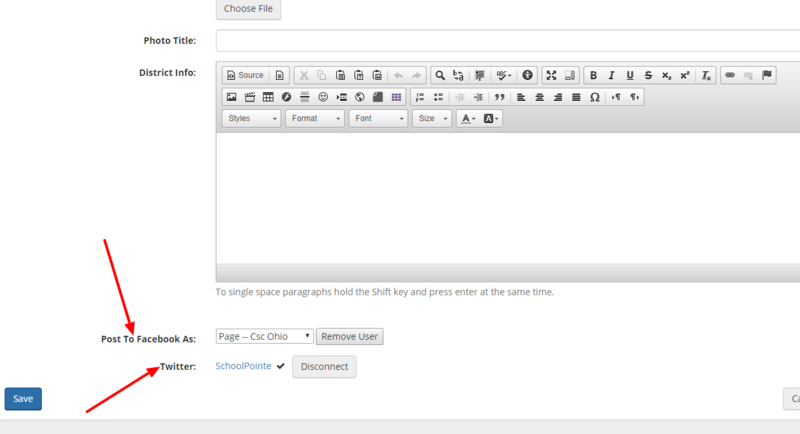 Once you have connected to your pages you will save and are ready to share. You can share via Twitter your Schools Closings and Alerts.